The eatforafiver cogs have been stationary for a while. The day job takes over in April, May and June and the opportunities for taking a jaunt into town or elsewhere in search of cheap food are limited. 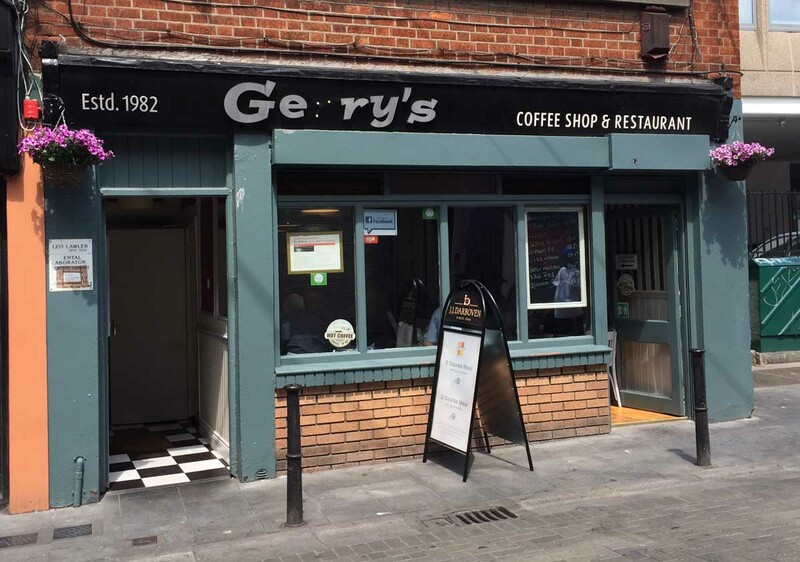 Last October, a helpful man called Sean McElroy pointed me towards a few places in the Camden Street area. One, I tried soon after but the other has been gathering dust in my inbox ever since. Until today. and Credo, the location for today’s extravaganza. 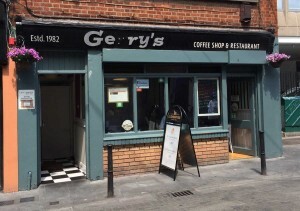 I haven’t eaten in Gerry’s since I worked in NYCI but it has to be one of the best value restaurants in Dublin. It’s not cutting edge cuisine, fine dining, fusion or, indeed, anything other than meat and two veg, cooked plainly and well, served quickly and designed to satisfy your mid-day hunger. And all for well under a tenner. I’ve hesitated and I don’t really want to do this but I’m going to call it an institution, unless by the time I’ve finished this post, I can think of something better and less hackneyed to call it. 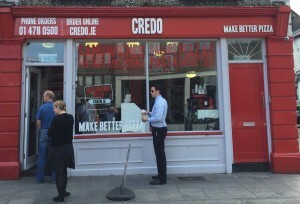 Credo is a little further towards Harcourt Street beside the very popular Green Bench Cafe. 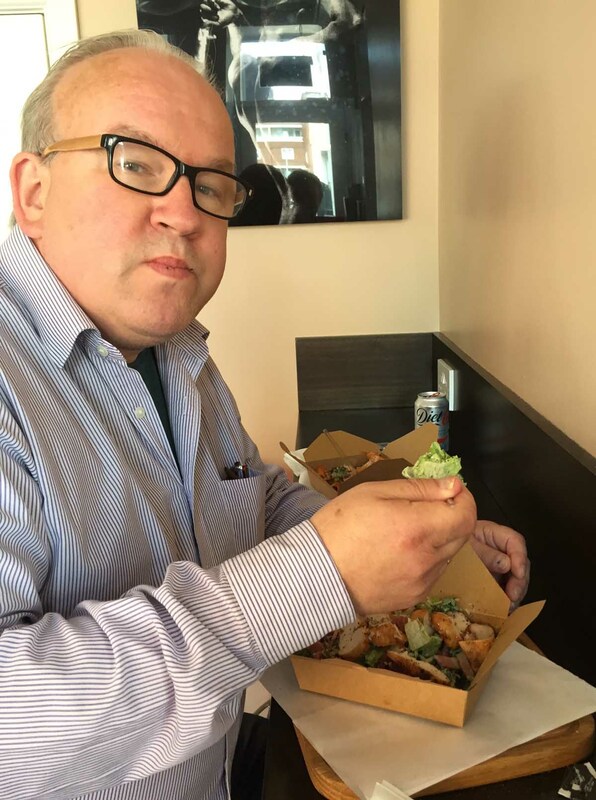 The link above will bring you to Credo’s lunch menu. Credo is also on Facebook (where its page features daily specials) and is reviewed on Yelp. 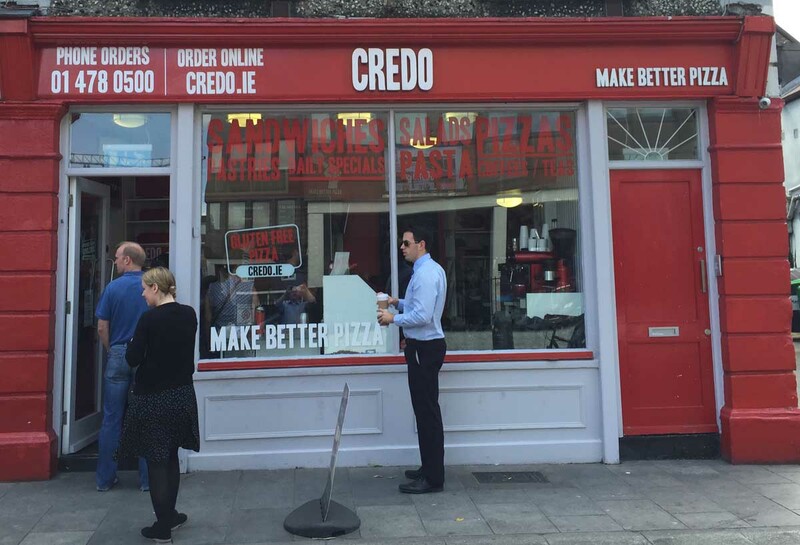 For its size, Credo has a pretty good range of offerings: pizza, pasta, soup and sandwiches, to take away or eat in, the latter in a small (seating about 16-18), but not cramped, room beside the serving area. My lunch companion today was PJ, a friend with multifarious interests and multiple talents but for whom wheat is a thing to be avoided. 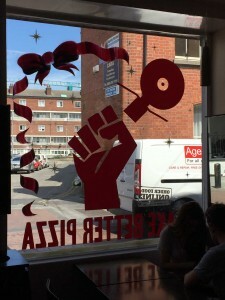 We entered, and consulted a most helpful woman (with a most eye-catchingly attractive tattoo) behind the counter who explained the options and offered various suggestions for wheat-free eating. Sean (see above) had mentioned that Credo does a pasta option for a fiver. Today there were three pasta dishes on offer, two of them costing €5. 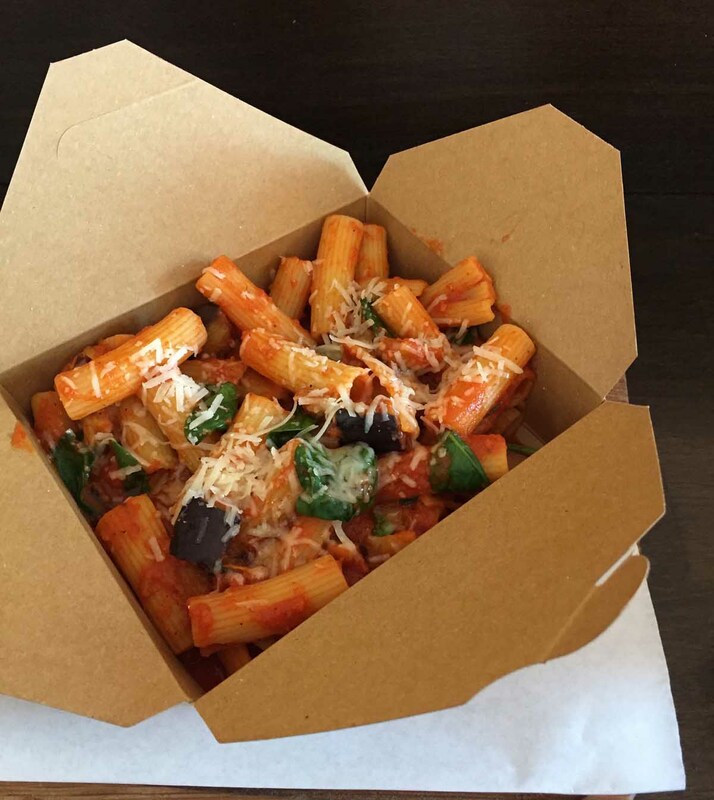 One was a fettuccine dish with a creamy sauce, spinach and green beans, and the other rigatoni with a tomato sauce, aubergines and spinach. The aubergines swayed me towards the latter. 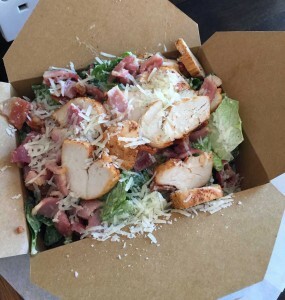 PJ chose a Caesar salad without croutons but with a little extra protein thrown in to compensate, for €4.50. We paid and took our seats. Our food arrived soon after, served in boxes, nicely presented on paper-covered boards. Condiments and cutlery were available close by. Of the rigatoni, there was plenty. The sauce was rich but otherwise unexceptional (I’m describing, not critiquing, you understand). There was spinach and there was aubergine. And there was a good sprinkling of grated parmesan. It was tasty and filling. PJ’s Caesar was a revelation, his container filled to the brim with dressed leaves, both lettuce and spinach, with some tomato and a generous helping of chicken and bacon, also sprinkled with parmesan. … and, having done so, he pronounced himself satisfied. Credo was busy and, by the time we were leaving, there was a small queue outside. Most people ordered to take away but we weren’t alone in the dining area. Do have a look at their Facebook page (link above). Some of those sandwiches and salads look very appetising and are excellent value. 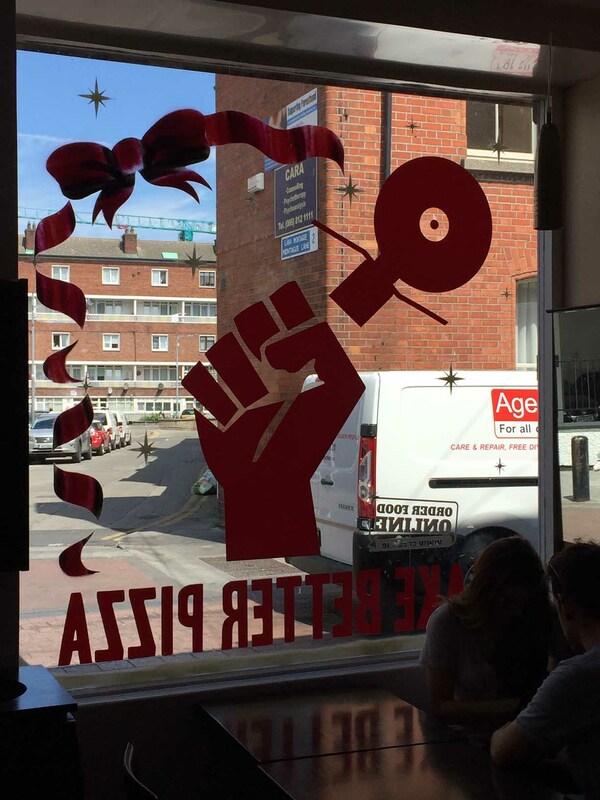 If you work in the area, or study in DIT down the road, put this place on your list.